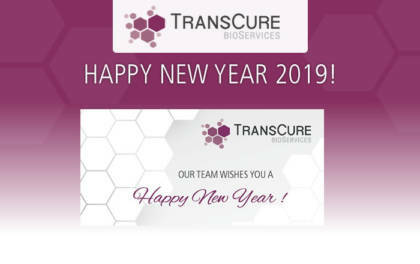 On behalf of my team, TransCure bioServices SAS wish you a Happy New Year! We hope 2019 will be a successful year for you and your professional objectives. TransCure bioServices is proud of sharing our 2018 assessment. Thanks to our commitment and high expectations, we had a very satisfying year. I am welcoming your trust for next year, and happy to deliver renewed services and newly added objectives in 2019! Thank you for being part of the TransCure bioServices history. Dear Colleagues, 2018 was a very exciting year for the TransCure bioServices team. We would like to share some of the major achievements in 2018 and shed light on the main objectives for 2019. Antoine Poskin, PhD, our recently hired Chief Veterinarian, is managing the entire animal facility and coordinating AAALAC accreditation for early 2020. We show dedication to animal welfare and therefore able to provide the highest quality research standards and raw data to all our customers. In parallel, we have acquired a second AttuneTM NxT Flow Cytometer for flow cytometry analysis. With this second cytometer, our team is able to: carry out many more accurate studies, go deeper into the understanding of the mechanism of action of drug candidates and analyze more samples from in vivo pharmacology studies in the fields of immuno-oncology (e.g. tumor infiltration with human immune cells), infectious and inflammation diseases. 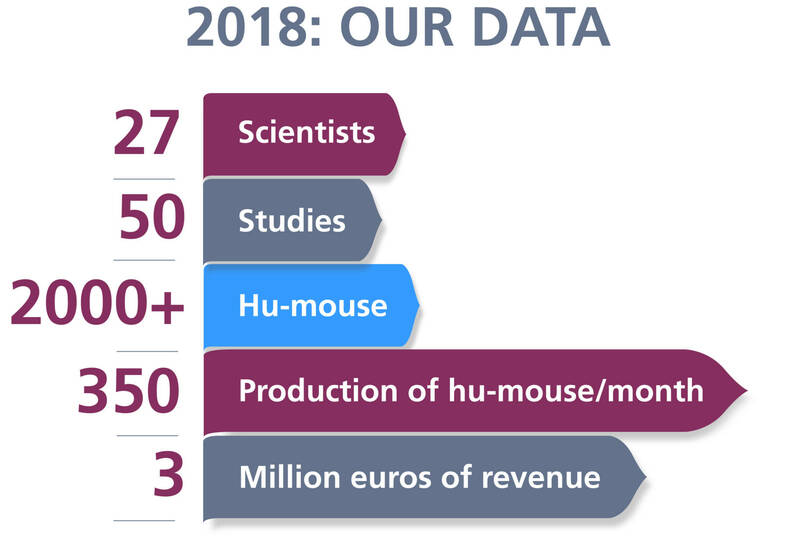 In 2018 we have executed more than 50 hu-mouse studies representing around 1’000 hu-mice, growing by 48% from last year. For our customer not to wait 14-15 weeks of full reconstitution of the human immune system in hu-mouse, we are preparing in advance 350 hu-mice each month, barely enough to cope with all upcoming customer demands. Start of 2019 is very busy for TransCure and our hu-mouse models. For our customers, we have now developed two new models: COPD and PDX/xenograft models. We have also added features to the IBD model with endoscopic imaging scoring/assessment. We continue to prepare the launch (late 2019) of the full human liver mouse model. 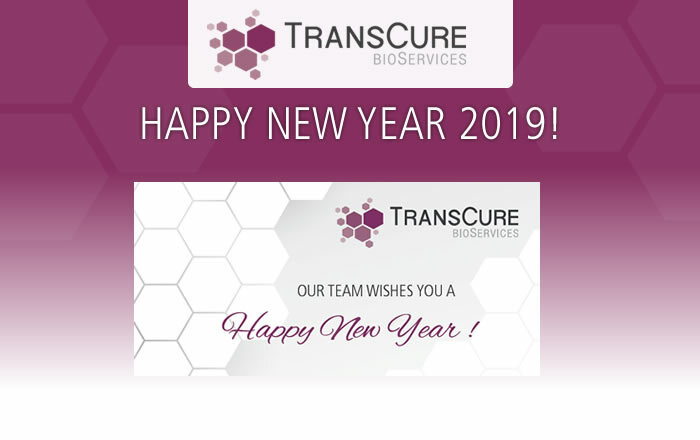 Our team warmly thanks all TransCure’s Customers and welcome your renewed or new business with us in 2019.